This amazing natural cleanser is made with pore-refining pineapple and skin-brightening papaya enzymes to gently buff your skin and wash away impurities, make-up and dead skin. The 100% vegetarian and hypo allergenic formula has a tropical blend of aloe, hibiscus and passion flower to soothe and balance, with vitamin E and jojoba to moisturise, giving you super soft, radiant skin without harming the planet. To use, rinse face with warm water and gently massage a small amount of cleanser on to skin, rinse clean, avoiding the delicate eye area. No artificial colors, parabens, phthalates, sodium lauryl/laureth sulfate or sodium methyl sulfate. The Alba Botanica Pineapple Enzyme Facial Cleanser -230ml product ethics are indicated below. To learn more about these product ethics and to see related products, follow the links below. The product smells lovely and produces just the right amount of foam to feel you have thoroughly cleansed. You don't need to use much either, and it is easy to rinse off. The pacakaging looks slightly tacky, but don't let that put you off, it's a great little product. 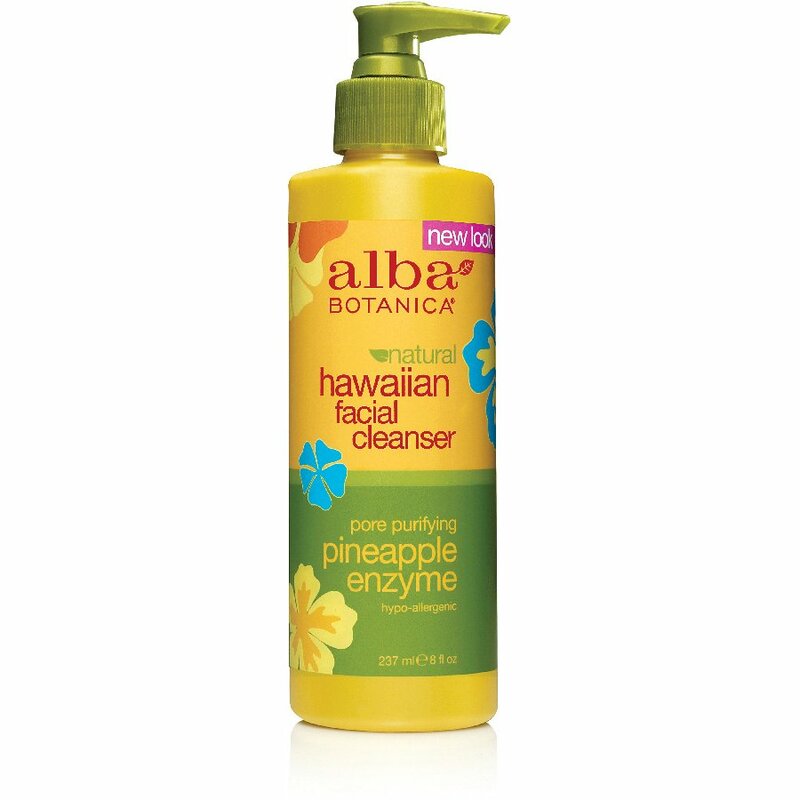 There are currently no questions to display about Alba Botanica Pineapple Enzyme Facial Cleanser -230ml. Alba Botanica are dedicated to making high quality beauty products that overflow with botanical ingredients - they never contain any animal ingredients (or test on them) and reduce their environmental footprint wherever possible. They also support CARE programs to empower young women in the world's poorest communities.